Recent release “Lucifer's Sanctuary,” from Page Publishing author Thomas Peters, is both provocative and thrilling; this work depicts the deception, secrets and innocence of religion. Thomas Peters, a devoted writer and author, has completed his new book “Lucifer's Sanctuary”: a gripping and potent journey into a world of death, fear and strength. Published by New York City-based Page Publishing, Thomas Peters’s profound work will keep the reader on the edge of their seat! 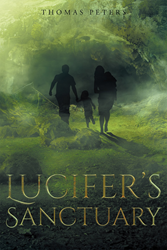 “Lucifer’s Sanctuary” is a story about love, hope, and tragedy mixed with pure evil. The evil comes from the prince of darkness himself, and the tragedy happens after a young couple named Tom and Amy McKinney lose a child and their faith in God. The story combines innocence lost with a naive notion that deals can be made with Satan. Tom and Amy are friends with Mike Cisneros, who has his own struggle with evil. He went from being one of the army’s top soldiers, a Green Beret officer, to a broken man who couldn’t deal with a mortal sin he committed during the Panama invasion in 1989. After resigning his commission, he decides to become a priest. He is convinced when he goes to work at the Vatican Library that he will never have to use violence again. He is wrong. There are twists and turns in the story that result when the young couple realize their mistake and want out of the deal with Lucifer. Can the church help them? Is there anyone who can deal with Lucifer in his secret sanctuary on earth? Readers who wish to experience this chilling work can purchase“Lucifer's Sanctuary” at bookstores everywhere, or online at the Apple iTunes store, Amazon, Google Play or Barnes and Noble.